This photo is part of the Australian National Maritime Museum’s William Hall collection. The Hall collection combines photographs from both William J Hall and his father William Frederick Hall. The images provide an important pictorial record of recreational boating in Sydney Harbour, from the 1890s to the 1930s – from large racing and cruising yachts, to the many and varied skiffs jostling on the harbour, to the new phenomenon of motor boating in the early twentieth century. The collection also includes studio portraits and images of the many spectators and crowds who followed the sailing races. 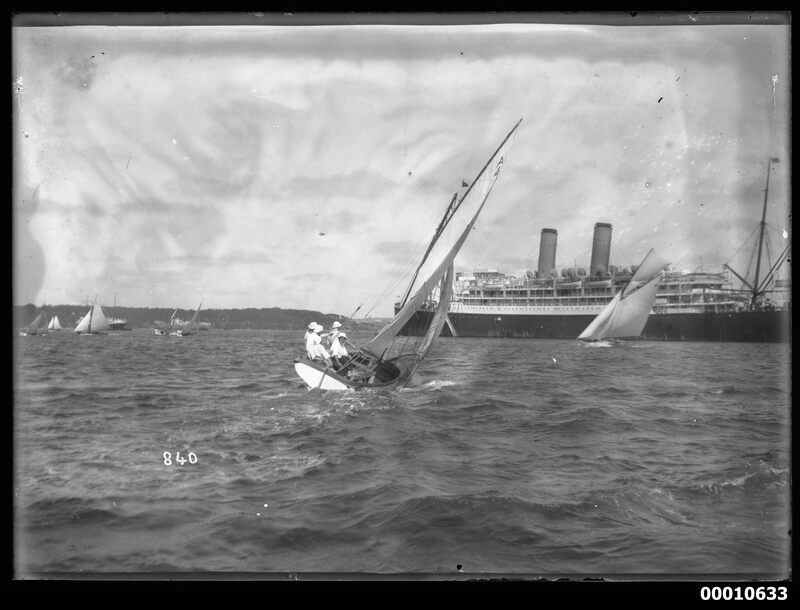 The Australian National Maritime Museum undertakes research and accepts public comments that enhance the information we hold about images in our collection. If you can identify a person, vessel or landmark, write the details in the Comments box below.